As a natural material, when timber is exposed to the elements it will mature and change colour over time. It will naturally mellow to a lovely silver hue that characterises outdoor wooden furniture. During the first few months, it will require very little care and maintenance - perhaps a light clean to keep off any algae or dirt. Over time and the changing seasons, the timber will lose its natural oils that sit on the surface of the frame. These oils play an important role, they prevent the water becoming ingrained in the natural fissures of the wood and stop fungi developing. Fortunately, it's a straightforward job to remedy this. You need to accept that without an annual clean the life span will be shortened. The Oak garden swing seat pictured above was made in 2005 and has had an annual clean since then. In the early days our wooden garden furniture needs very little maintenance, we recommend a light clean in the Spring to wash off any build up of algae and dirt, which are your furniture’s enemies when it comes to its longevity. A hand wash or light power wash will achieve this, ensuring not to go in too close, just be gentle. As the furniture ages and mellows to that beautiful weathered grey, we highly recommend using a product called Net-Trol, a wood cleaner and brightener used to restore greyed and weathered wood. It effortlessly removes both surface and ground in dirt leaving the wood looking bright and vibrant. 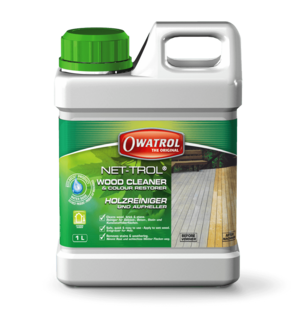 It removes the need for aggressive power-washing which can cause the wood to become rough. Next once it is dry give it a thorough sanding using disc/hand sanding starting with 80 and finshing with 120 grit . 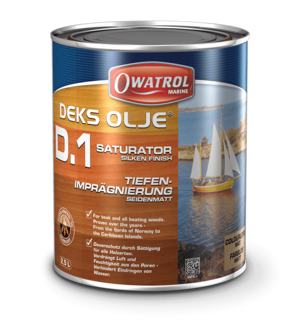 We then recommend applying a wood oil called 'Deks Olje D1'. It's a saturating oil that feeds the wood to replace lost oils. It drives out any moisture and air present in the wood and fills the pores with oil. This enriches and stabilises the wood to provide long-lasting protection to both interior and exterior timber. Further information on how to use both products can be found by clicking the links below. If you have any questions on looking after your garden furniture, please don't hesitate to contact us. Net-Trol can be used on all of our unpainted swing seat range as a cleaning product. It restores weathered wood to it's natural colour without affecting the fibers, gently removing dirt that naturally becomes ingrainted over time. Deks Olje D1 feeding oil can be used on all of our oak products. 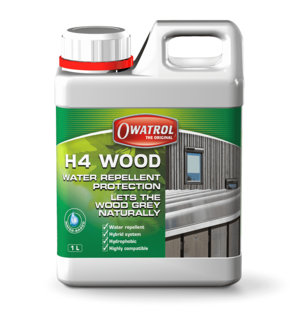 H4 Wood is a colourless, waterproof protection for wood which allows it to age naturally and turn grey without damage from water, pollution, moss and dirt.